One Savvy Mom ™ | NYC Area Mom Blog: Diary of Wimpy Kid 2: Rodrick Rules~The kid who made "wimpy" cool....is BACK in an All-New Family Comedy! 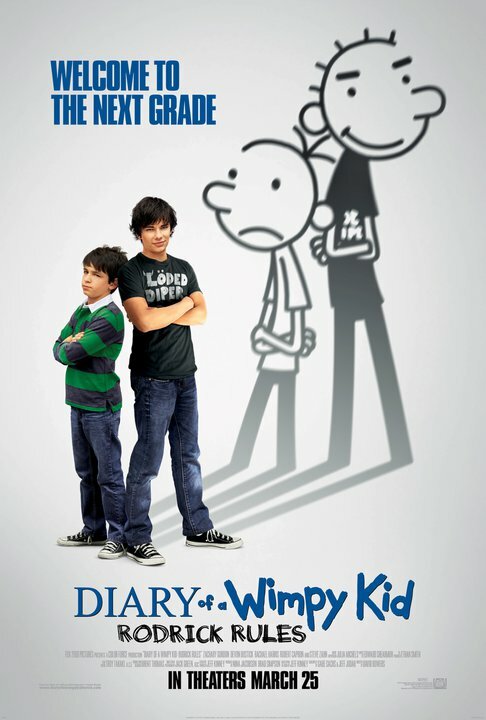 Diary of Wimpy Kid 2: Rodrick Rules~The kid who made "wimpy" cool....is BACK in an All-New Family Comedy! In this sequel to 2010’s surprise hit, Greg Heffley, the kid who made “wimpy” cool is back in an all-new family comedy based on the best-selling follow-up novel by Jeff Kinney. (Kinney’s "Wimpy Kid” series has thus far sold 42 million books.) As he begins seventh grade, Greg and his older brother – and chief tormentor – Rodrick must deal with their parents’ misguided attempts to have them bond. Check out another clip from the movie here . BUY IT: Diary of a Wimpy Kid: Rodrick Rules Releases in theaters March 25, 2011! For more information visit http://www.diaryofawimpykidmovie.com/ .